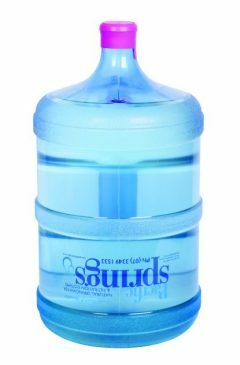 Large spring water bottle that fits all of our water coolers. As a customer, you will be placed on a delivery run every 4 weeks. When you get your first water delivery, you will also receive a delivery calendar to show you when you can expect us each month. Your water will be delivered every month unless you have asked us to reschedule. How many 15L Water Bottles do you need? We recommend starting with 1 x 15L bottle per person per month. So if you have 5 people in your home, start with 5 bottles. If you have 12 staff in your office, start with 12 bottles. This may or may not be your standard monthly order, but it will be a good way to see how long that amount of water will last you and work out how many bottles you will need between deliveries in the future. Minimum quantity: 2 bottles (verified during checkout). Our spring water bottles are safe for your use. 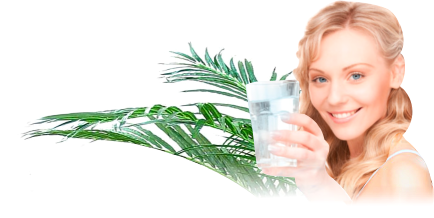 We recycled them, maintain them and dispose of them, while you enjoy fresh, pure, high quality drinking water and get the health benefits of good hydration, cold during the hot summer months and hot during the cold winter months.